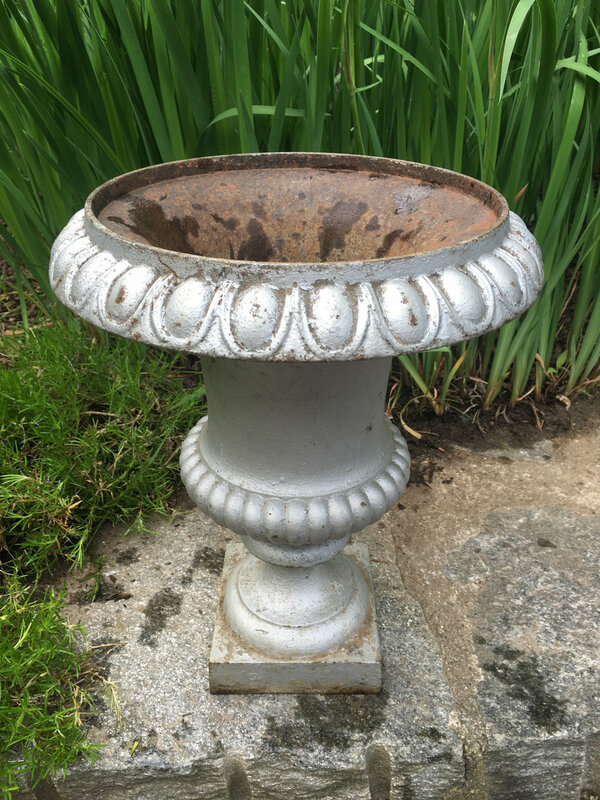 This classic cast iron campana-form urn is simply lovely. Perfect as an accent piece indoors or out, it has a drain hole that can be plugged should you wish to use it as a vase. In old silver paint. 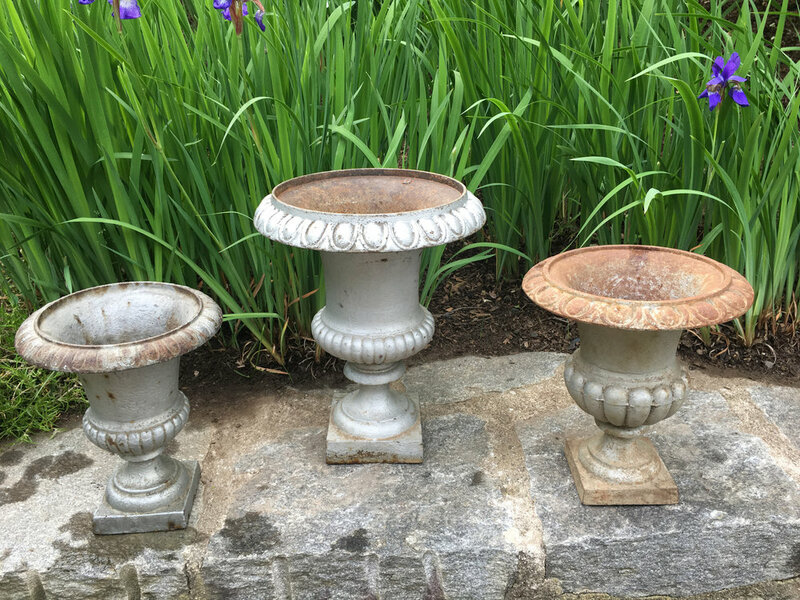 You may also want to have a look at the other two smaller urns shown above in photos 5, 6 and 7, as they would make a charming trio on a larger table.